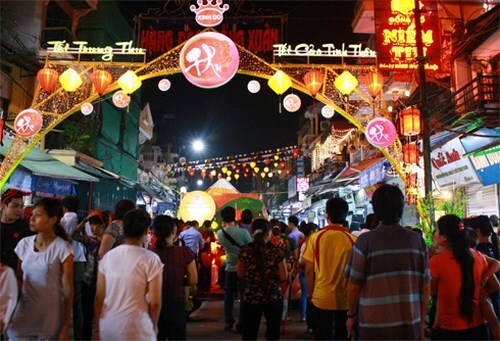 HA NOI (VNS) — The full-moon festival in Ha Noi's Old Quarter will be open until next Saturday. Apart from many traditional entertainment programmes, a market selling traditional and modern toys for children will be open near the Dong Xuan Market. Traditional games and competitions will be held on the streets of Hang Ma, Dong Xuan, Hang Dao and Hang Giay. A compe-tition on laying a traditional full-moon table will also be organised.